Hott Disposal Service (304)902-4032 - serves entire county below mountaintop. Envirco (304) 897-6060 - serves entire county below mountaintop. Sunrise Sanitation (800) 645-4886 - serves mountaintop. Apple Valley Waste (304)724-1834 or 1-877-267-1280 - serves entire county. Envirco (304) 897-6060 - serves entire county. Knobley Mountain Hauling (304) 738-1602 - serves Frankfort District. Apple Valley Waste (304)724-1834 or 1-877-267-1280 - serves entire county except Frankfort District. ​Robert O. 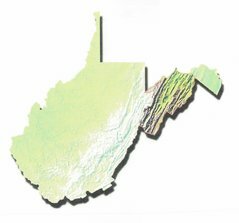 Peer (304) 249-5266 - serves south and eastern portion of county. North Fork Disposal Service (304) 567-3246 - serves north and western portion of county. Municipal Collection - Franklin, Petersburg, Piedmont.